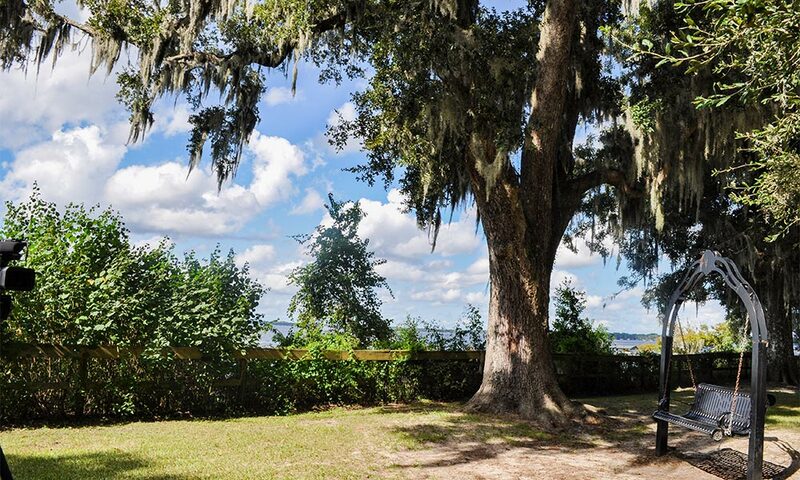 Located between the majestic St. Johns River and the William Bartram Scenic & Historic Highway in northwest St. Johns County, Alpine Groves Park is wonderful spot to enjoy the beauty of nature and learn something about Florida’s history in this area. The 54-acre park contains the partially restored house and grounds of a late 19th century homestead, along with a citrus grove in the midst of live oaks and magnolia trees. Set on a bluff overlooking the St. Johns River, the park is a designated destination on the Great Florida Birding Trail. Ideal for families, the park offers a magnificent butterfly garden, a farm-themed playground, picnic area, wooded trail. a dock for fishing, and a boat launch for canoes and kayaks. The park staff is happy to arrange educational field trips, which can be scheduled by calling the Park Naturalist at (904) 209-0348. To reserve a covered pavilion or make arrangements for a special event here, call (904) 209-0328. Alpine Groves Park is open every day, from dawn until dusk. Be the first to Review Alpine Groves Park!